This site is home to resources for teachers and students to learn about ways to implement technology into the classroom! I hope you find something new and exciting to try! 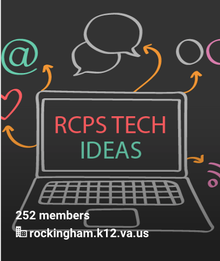 ​RCPS has a great Google Plus Technology Community. Stop by, check it out, and join in on the conversation!